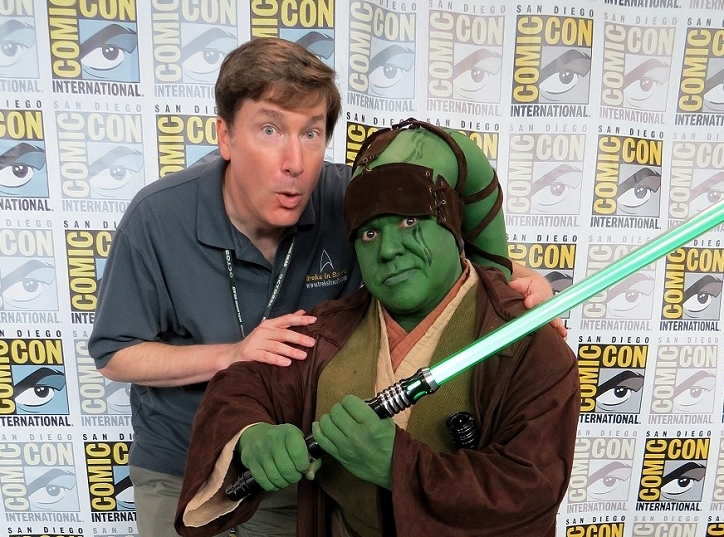 This week on the podcast I got together with my buddy Kenny to talk all about our big adventures this year at San Diego Comic Con. It was my first time attending this con and Kenny has been many times so you get perspective from each of us on how we approached doing the con and how it all worked out. I really had a great time and it was fun to talk to Kenny about the experience again that was only a few weeks ago. We share some con survival tips and advice too for those that might want to attend sometime. It’s really a unique experience and one every nerd and geek needs to try at least once (or more). Frankly, I’m already excited to go back next year! Towards the end of the podcast I announce the winner of the Greg Horn art Picard print and talk about upcoming podcasts a little too. Big thanks to Kenny for hanging out with me to record this the other night over Skype. Looking forward to getting back to our Harry Potter shows too. That’s it for this week folks. Next week will be a guest cast. Until next time take care and enjoy the summer weather! You can support the podcast on PATREON HERE.